This is Mr. Bibbs. He is almost four years old. He was abused as a kitten. When we first got him he suffered from a soft tissue back injury. 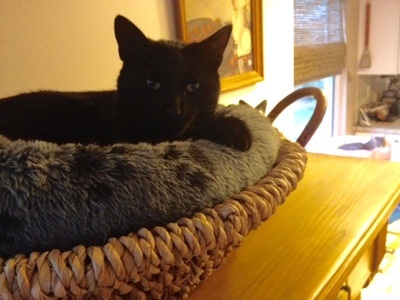 He loves to play, sleep in bed with his favorite human and is an avid bird watcher. He does not like to be scruffed.